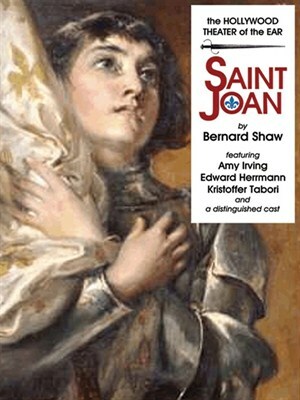 The 1957 “Saint Joan” movie is adapted from the Shaw play. With “Saint Joan”, Shaw reached the height of his fame as a dramatist. Fascinated by the story of Joan of Arc (canonized in 1920), but unhappy with “the whitewash which disfigures her beyond recognition,” he presents a realistic Joan: proud, intolerant, naïve, foolhardy, always brave-a rebel who challenged the conventions and values of her day. Posted in Audio Book, Classics, E-Book, Fiction, Free instant access, Instant AccessTagged Audio book, Available for download, George Bernard Shaw, Joan of Arc, New Orleans Public Library, Saint JoanBookmark the permalink.